Perfect way to express your gratitude, recognition or market your social media presence with this one of kind prestigious yet elegant acrylic award. Makes for an excellent desk accessory or gift for you boss, employee, office friend, teacher, faculty, friend, volunteers, family member, "Salesman of the Year" to adorn your office, classroom or home adding that elegant but cool look. 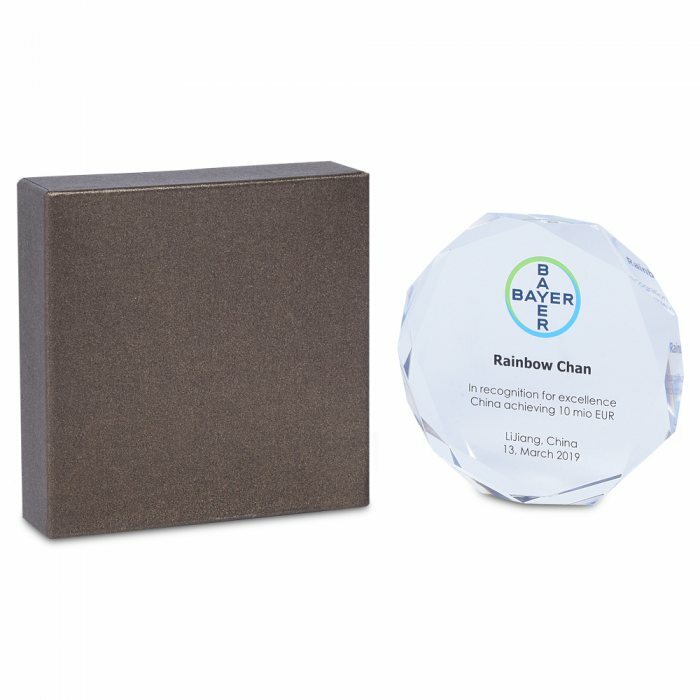 Acrylic awards/name plates are cut to precision and has a exquisite flame polished edge to ensure that the product reflect that elegance that is expected. Nothing makes a better gift than something personalized. Laser engraving creates a timeless white frosted finish on the surface of the award. The effect is created by burning tiny points on the surface to form the desired artwork. We have refined this process to achieve precise engraving of fine artwork details. UV printing is a premium finishing that can create colourful logos with gradients or photographs. We use the latest technology to print direct onto the award surface with a special ink that is cured by UV light.